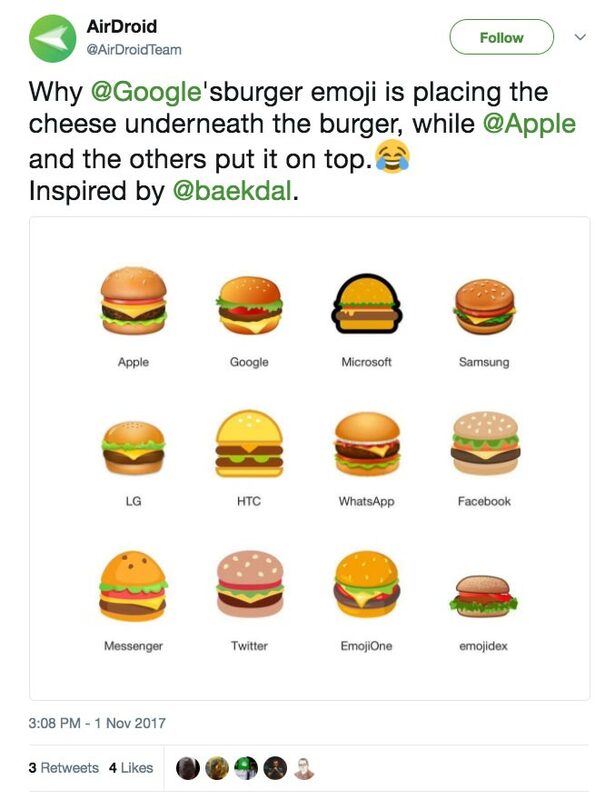 A couple of weeks ago, I found myself in the middle of a real tweetstorm that turned into a media storm: I posted a (from my perspective), very innocent tweet encouraging the discussion of why Apple's and Google's burger emoji look different. The result was viral craziness that even impacted the way the media covered US political events. 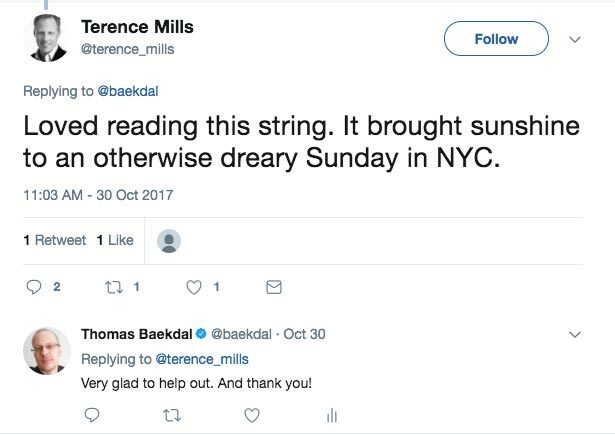 In a previous article, we discussed what the tweet was about, how the Twitterverse responded to it, and why it worked. If you haven't read this already, I encourage you to do so first to get a better sense of what this article is all about, because all of that happened before many traditional media outlets became part of the picture. 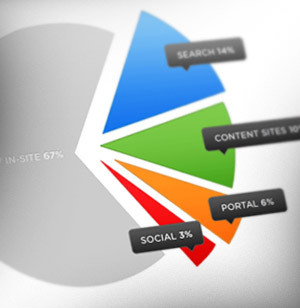 In this article, we will look at this from a media analyst perspective. How did the media react to it? How was it covered? What were the mistakes? And what can we learn from the perspective of media analysis? But let me very quickly summarize what happened (more details are in the first article). 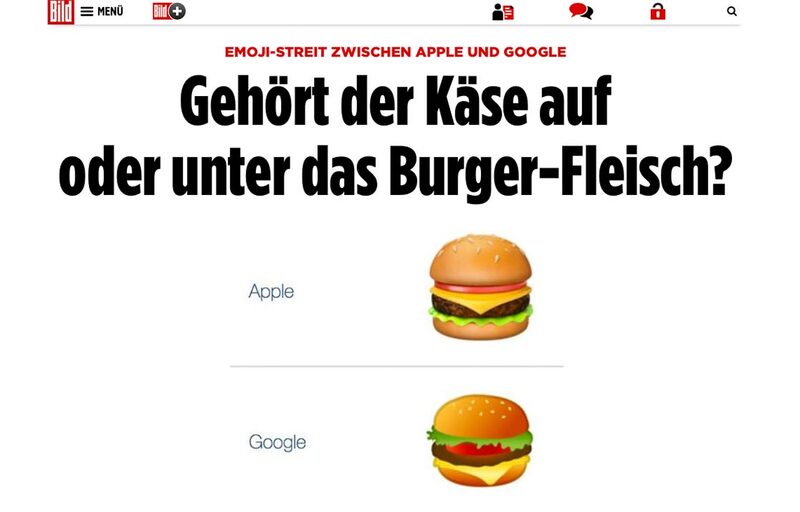 On a lazy Saturday evening, on October 28th, I was having a small discussion with a friend of mine, Ana Milicevic, about the different looks of emojis between platforms, and I happened to see the burger emoji. At the time I didn't think much of it, so after tweeting I watched some Netflix and then I went to bed. But when I woke the next morning, the world seemed to have gone crazy. Thanks to several very high-profile retweets, like when the actor Stephen Fry (with 12.5M followers) retweeted it, as well as thousands of individuals adding their own voice, the tweet reached 2 million views, 14,200 likes, 7,600 retweets, and 830 replies, after only 24 hours. 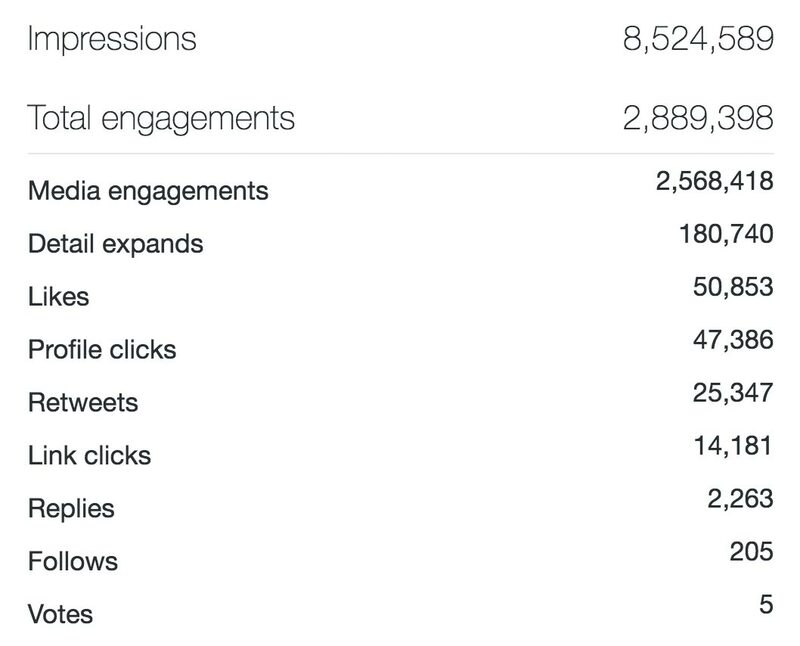 And today, as I'm writing this two weeks later, we have reached 8.5 million views, 50,000 likes, 25,000 retweets, and a staggering 2,200 replies. Suddenly this innocent tweet about an emoji turned into a media phenomenon. A huge number of newspapers, online sites, and magazines started covering it. 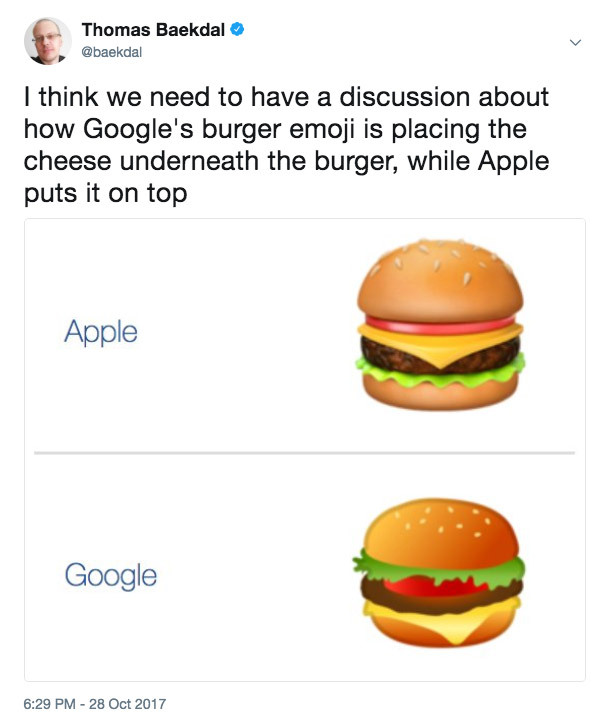 Washington Post:Google challenged the world to agree on its burger emoji's cheese placement. The world failed. The Sun: Google boss vows to 'drop everything' to solve glaring burger emoji error - can you spot the mistake? Mail Online: Google CEO says company will 'DROP EVERYTHING' on Monday to fix the glaring error on its cheeseburger emoji...but can you tell what it is? NDTV: Cheese Slice Above Or Below the Patty? 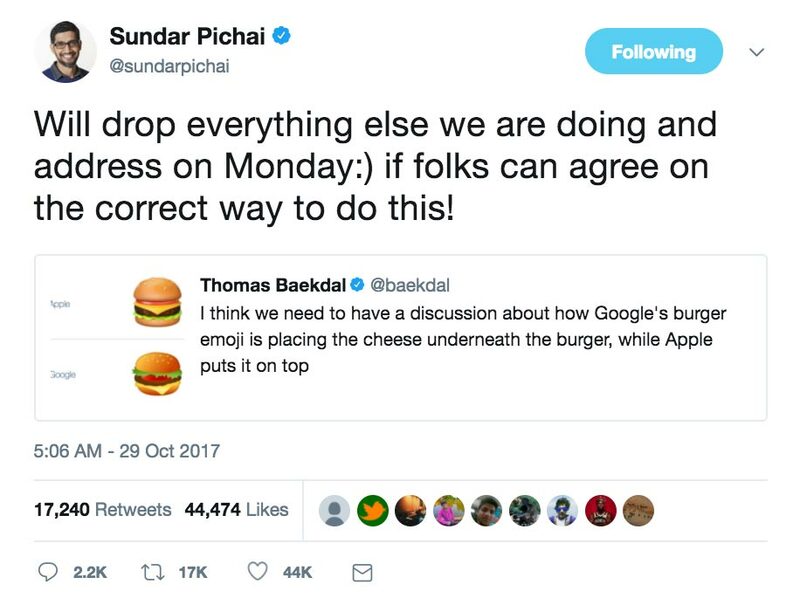 Sundar Pichai promises to fix the Burger Emoji Issue! From the perspective of media analysts, this was fascinating to watch, because it illustrated so many patterns that we see all the time. There was a little bit of coverage on Sunday, for instance by Time Magazine. But notice how late the press was, in general, in getting in on this. Because all of this happened on a weekend, it didn't pop up on the radar for most journalists until they showed up at work on Monday morning. By that time it was a story. Much of the viral effect of what actually happened on Twitter was already over. 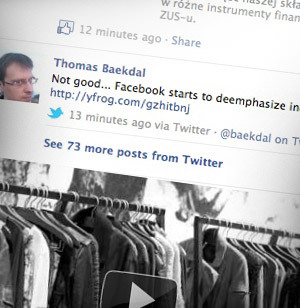 The tweet had already reached 4 million views before most publishers even started writing about it. Also, look at the very familiar pattern of the stories posted by the media. They are all focusing on Google's CEO saying he will do something. You might say that this is an obvious 'hook' for the story to focus on, and... well... yes. 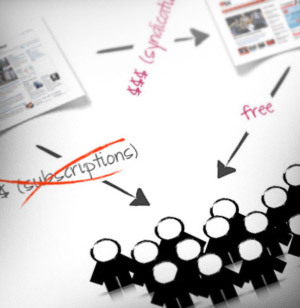 But it also illustrates a problem that we see with journalism in general. In the media today, news only becomes news when either a story is political or if there is some type of scandal that involves a company. News is rarely news if it's just people doing things. I have talked about this many times before, as what I call the 'political first' focus, where the editorial view lives in this weird type of bubble where news only comes from one direction. Seeing how almost every single one of these articles is approaching it as if there is a crisis that Google now promises to fix, is a very media type of mentality. It also, however, completely misses the point of why the tweet got so popular in the first place. The reason why this became such a phenomenal thing was because we were all just having a bit of fun together. People are having a really fun time. 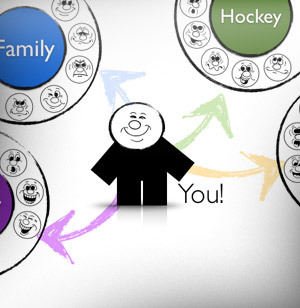 This is a discussion that is making people happy, where we are learning new things, where people can express their own preferences, and where we are just part of this big shared community event. This is Twitter at its best. There is no fighting here. No scandal to fix, or crisis for Google. Sure, it was fun that Sundar participated the way he did, but we weren't really discussing this because we wanted to fix it. Whether Google actually fixed this or not (which they did) has no relevance to why this was all so amazing. This weekend was fun!... because we were all having a good time. In comparison, the media focused on the problem, and thus highlighted what has become the secret sauce of most contemporary coverage: present conflict and 'both sides' arguments even when there isn't or shouldn't be any. They focused on how Google needed to fix something that was broken, per their CEO - as if Mr Pichai's tweet was actually to be taken seriously and acted upon. This is fundamentally dishonest to a media outlet's audience, as the attention-grabbing intent of the headline is very different from reality. When you approach any topic from an antagonistic perspective, you portray a disagreement as if people were fighting... which clearly wasn't the case. As a media consumer, one must ask what other, vastly more important topics are covered in that way, and what does that do to our collective understanding of the world? It's the same when a journalist wrote that I was criticising Google. I wasn't doing that. My tweet was specifically not antagonistic. I didn't take sides, and I didn't blame anyone. I just wrote that this should be something we should all have a fun discussion about... and that was exactly what happened. In fact, I'm allergic to cheese (and milk), so my personal preference is that burgers shouldn't have cheese in them at all. And when I look at the way I make burgers myself, I don't really have a preference for the order of fillings one way or the other. 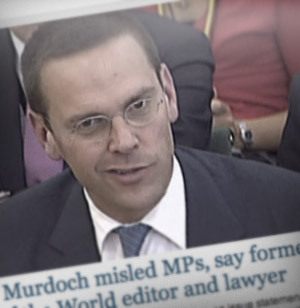 On top of all of this deceit there was snobbery from many media sites. Some journalists chose to 'talk down' about the topic, as if it wasn't serious enough for their attention (and yet they were the ones writing about it). I noticed journalists referring to me as "that fella", or as the WSJ put it: "a self-described media analyst was rooting around emojipedia.org for pictures of cheeseburgers to rile the Internet." But again, these journalists with this style of antagonistic coverage are completely missing the point. The problem is that they are approaching this as if there is a scandal here, but because it's about an emoji you don't think it's as important as... well... writing about a political event. And you are right. But that is not why this happened. Stop thinking that everything has to be a problem. 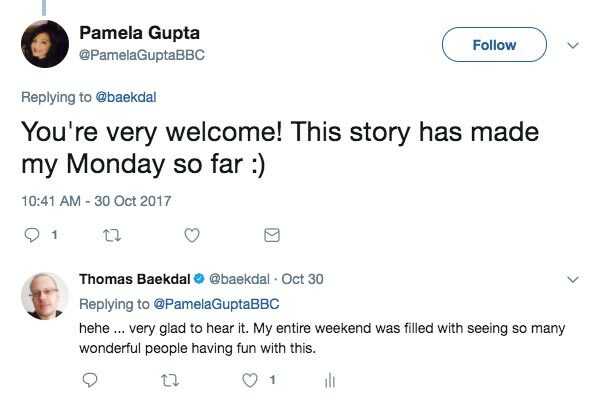 So, the question is, is this a problem only in relation to this tweet, or is it a problem with the way journalists approach all stories today? How many stories do journalists miss, or misinterpret because of this focus? For instance, it's quite common to see studies where we have surveyed the focus of what journalists think is important, compared to what the public think is important. Almost every time, there is a disconnect between the two. We see this with editorial focus, with the definition of fake news, coverage of topics, and many other things. And this disconnect is often a big part of the reason why publishers struggle to get people to subscribe... or, worse, it causes people to subscribe for the wrong reasons. For instance, a recent study by Lars Willnat, of Syracuse University, with David H. Weaver and G. Cleveland Wilhoit of Indiana University-Bloomington, compared two studies (one for journalists and one for the public) about media and the role of journalists, and found very different results. "The authors found that the two groups have 'somewhat divergent views on the proper roles for the news media'. For example, 'providing analysis of complex problems' is seen 'extremely important' by most journalists (68.8%) but only a minority of citizens thinks the same (25.1%). In broader terms, the American public appears to value most the so-called 'disseminator' role: objective, fast, and reliable transmission of news to the widest possible audience. Journalists, on the other hand, see the 'interpretative' role as most important, i.e. investigations, analysis and discussion. The respondents were also asked whether journalism in the United States was 'going in the wrong direction'. Interestingly, most journalists (59.7%) agree that this is the case, while just under half of the public thinks the same (49%). Most journalists (58%) still think their organisation is doing a good job in 'informing the public', while only a minority (27.4%) of the audience agrees on that notion. 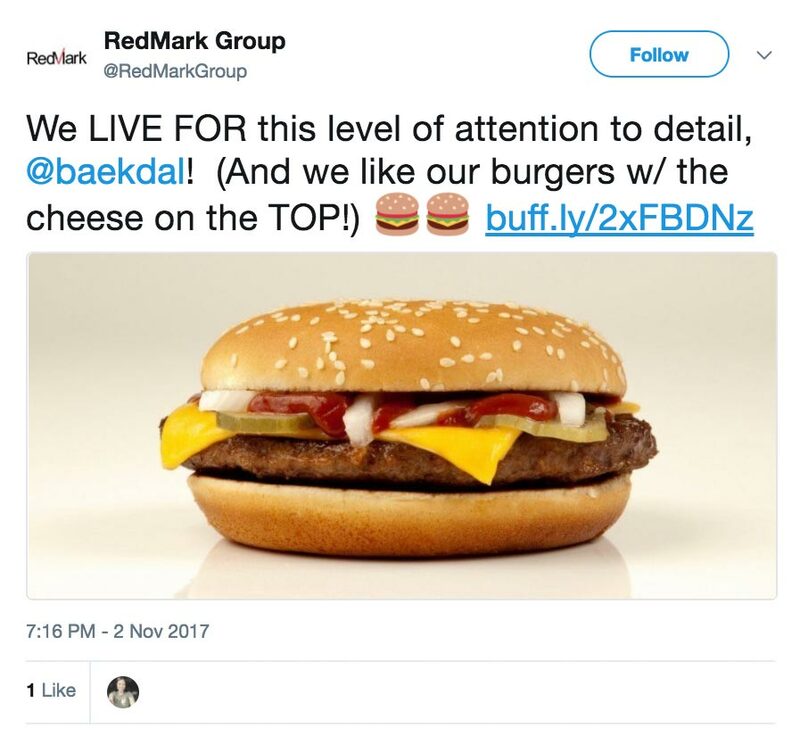 We see this all the time, and it was very interesting to see these same patterns appear in how something as innocent as the burger emoji story was covered. Most journalists probably think they covered the story in the right way, with the focus on Google's CEO and the scandal, crisis, and how people were disagreeing about it. But this wasn't actually the story at all. What I saw as the creator of the tweet was an entirely different picture. So, if we misreport a burger emoji story, how many other stories are misreported as well? And what does that do to the public's trust in the media? A couple of days after I posted the burger tweet, the FBI arrested Paul Manafort, Mr. Trump's former campaign manager, and this was obviously very big global news. And our emoji burger tweet somehow found its way into this arena, too. 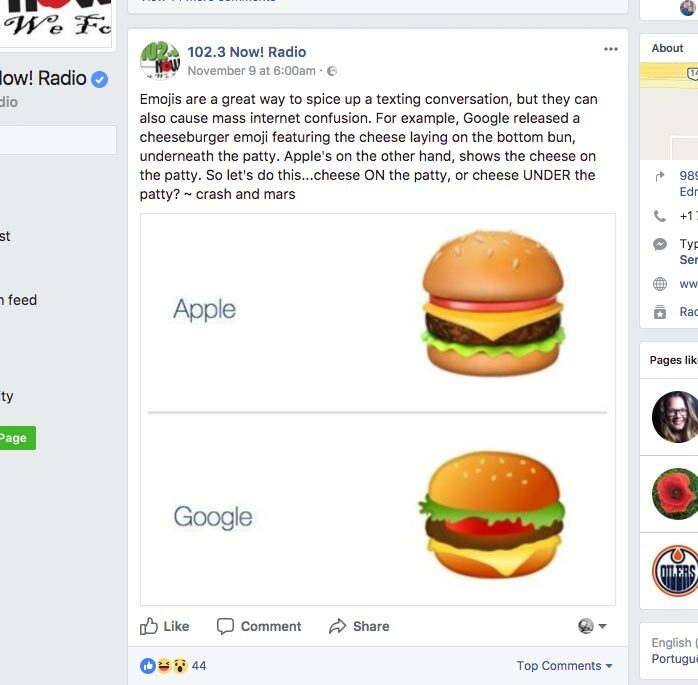 The burger emoji story made repeated appearances on other shows on Fox throughout the day - a welcome distraction for producers eager to fill the air with less controversial, non-political topics. The result of this was that a second wave of media coverage emerged, leading to the emoji burger eventually showing up as a comedic rant on 'The Late Show with Stephen Colbert'. Okay, at first, it's kind of exciting to have something I started show up on Colbert's The Late show (and other national US TV shows), even though no one attributed credit. But, on the other hand, the context of the coverage was so far removed from the happy and fun discussion we were having on Twitter. And I wasn't too happy about having my tweet hijacked this way. I will add one thing though. Fox News, in their online article, did cover this in a much better way than most other publishers, especially for me. The focus of their article was far more rounded than what I saw elsewhere, and they ended the article highlighting that I am a media analyst and with a focus on that. To me this was wonderful, because it means people started connecting with me for more than just the tweet. So, while Fox News on TV was terrible, the online article was great. This also illustrates the state of news on US TV, and Fox & Friends in particular. Again, here our media analysis throws up another red flag. 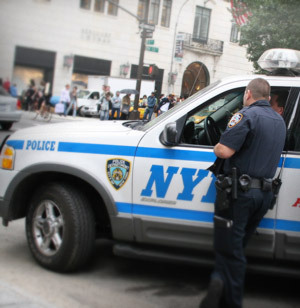 We see how a story is being misrepresented to create, in this case, a distraction. It's painfully clear when you actually watch the half hour Fox & Friends episode that the TV presenters don't care about this tweet at all. It's 100% added to create noise and distract people. Again, this illustrates the disconnect between what really happened and how something is used or covered by the media, and it's not a pretty sight. 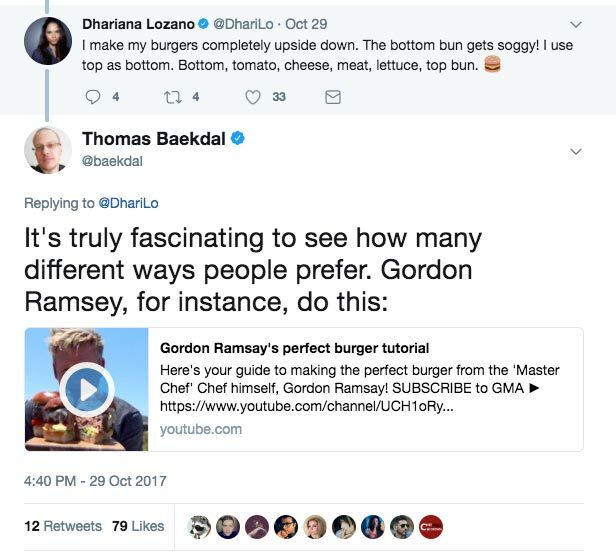 Mind you, this isn't just happening with a single news outlet, but everywhere: as the burger emoji somewhat unexpectedly showed, the same challenges in approach to coverage, and the media's tendency for sensationalism are fairly universal across geographies and media types (TV vs print vs digital). This often leads to a second problem, which is that the coverage people read in the media doesn't reflect what people experience themselves. And this is true for many different types of coverage. From the perspective of media analysis, this is extremely worrying, because the media ends up feeling like some kind of alternative universe, where the focus of our coverage doesn't reflect reality. This then leads to follow-up problems, where the public starts to believe things that aren't actually true. 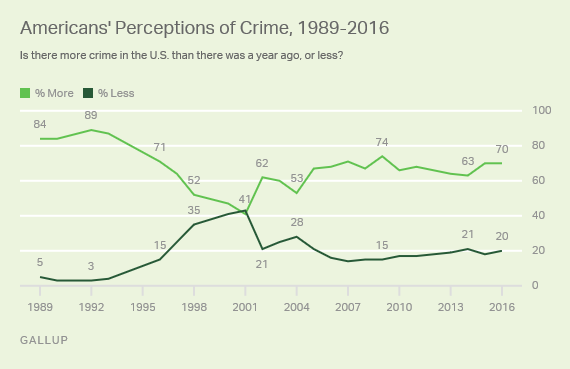 For instance, we see this with the public perception of crime rates, which is often the exact opposite of where things are actually going. We see it with the coverage of immigrants and refugees that is often focused in ways that completely misrepresent the effect these groups actually have on a country. We see it with terrorism, where the focus is still mostly on people of a different ethnic origin, the 'others', even though the real terror is the increasing level of hate crimes done by home-grown white men. 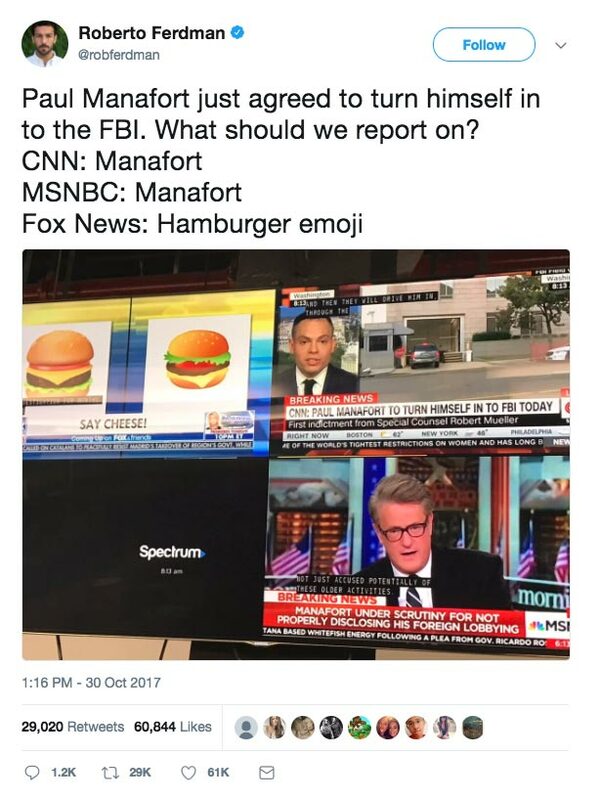 None of this directly relates to how Fox News used a burger emoji to deflect from a presidential scandal, but it's part of the same trend, that the news being covered often deflects from reality. What is the perception gap between reality and the imagined? There are no easy answers here nor a universal prescription for a solution. The best advice we can offer to media professionals is to be mindful of the erosion of trust that seemingly little, innocuous stories can have on overall coverage and the perception of veracity of news by the general public. 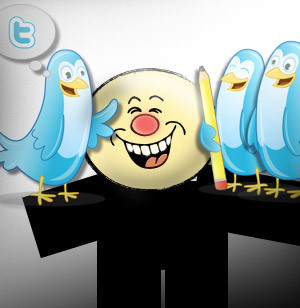 Finally, and on a slightly lighter note, let's talk about all the copycats, the growth- and news-hackers. These were all the publishers, brands, and companies who tried to 'get in on this' by either pretending that they had come up with the whole idea, or tried to capitalize on it in some other way. First came all the burger places who started tweeting about it, often with a picture of their own burgers. 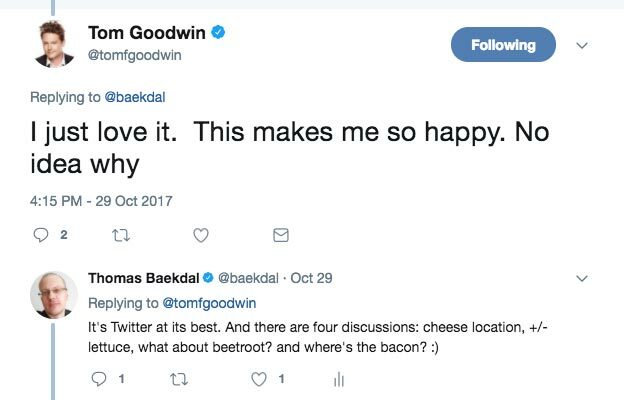 This is a good, if expected, way of taking part in a popular conversation as a brand, it's kind of fun and - if you'll pardon the pun, cheesy. This is also part of the standard advice on social that is generally doled out to brands: try and be part of the conversation. 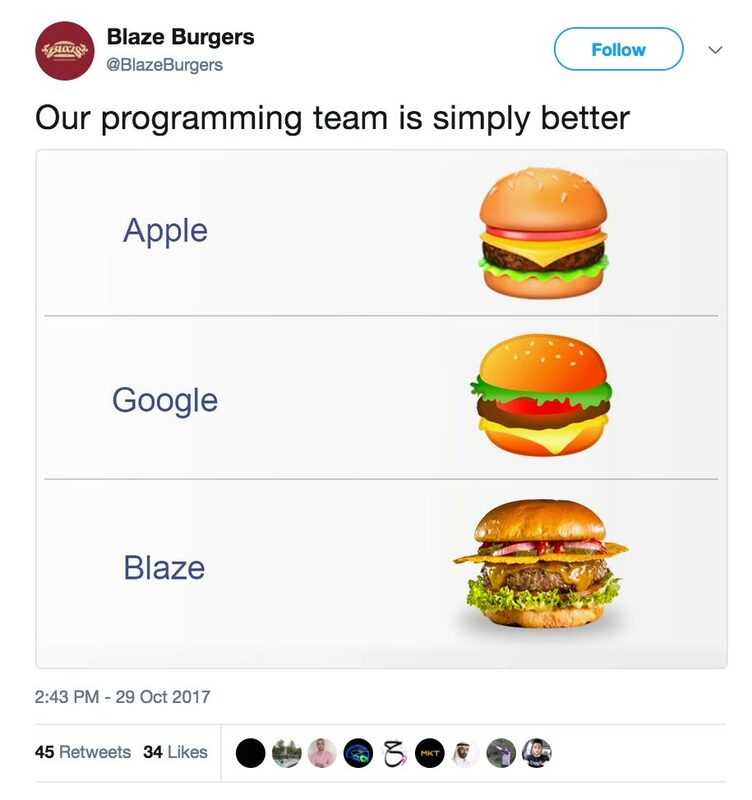 Blaze Burgers probably won't see a flood of new customers clamoring for its burgers, but their fans will surely appreciate the effort, and playing by the rules of the medium they're in can always have positive outcomes. 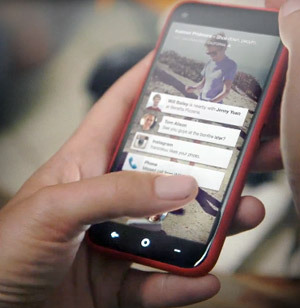 Another example of this was what we saw from marketing companies. Here, for instance, is RedMark Group, a growth consultancy. Notice how their tweet only has a single 'like'. How is that for a 'growth strategy'? There were also a ton of examples like this one from AirDroid. At least they credit where they got the idea from, but again, these types of hijacks usually don't see a ton of engagement. 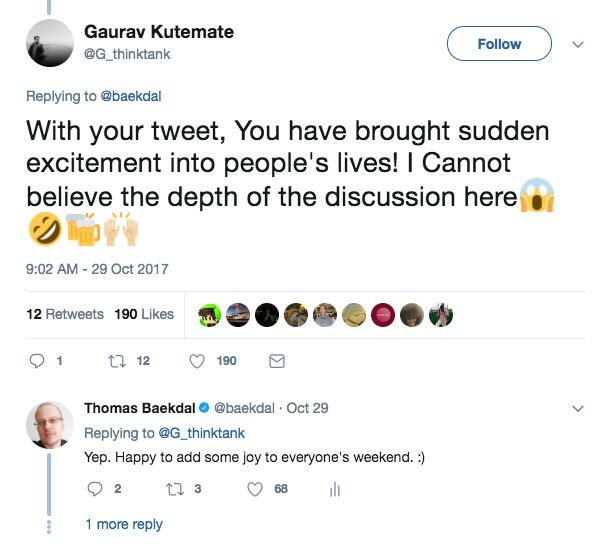 What these 'growth hackers' don't seem to get is that viral works not because of the content, but because of the moment. And none of these things fit into that moment. But while these were a few fun and innocent examples, much worse examples came from more established media outlets. One example of this was the German newspaper, Bild. When the tweet started really taking off, Bild decided to basically copy the story, but completely leave out any mention of anything that happened on Twitter. The result was an article where it looked like this story was something Bild had come up with, and they even went as far as to interview their own resident 'burger expert'. This is really bad journalism, because not only are you not acknowledging the origins of a story (in our case on Twitter), but you are also disrespecting the source. Now, some might say that, maybe Bild just happened to come up with this on their own? Maybe they didn't even know where it was originally from...? But no. You see, when I posted the tweet, I had rearranged the spacing in the original screenshot from Emojipedia to make it look better on Twitter. Here is a comparison of what the screenshot looked like in my tweet, and what it looks like on Emojipedia. The content is the same, but the spacing is different. And when you compare this to the picture used in the article from Bild, we see that it's my spacing exactly that they used. So I know that Bild discovered this story because of my tweet, and that they wrote about it because it was getting so popular on Twitter. But despite that, they still just wrote their own article pretending that this was their own idea. I'm not trying to claim copyright or ownership here, or to be petty by checking which image Bild used. The point here is about the journalists' code of conduct. Bild knew that it was taking content that it hadn't created, and presented it as their own. This is journalistic malpractice. BTW: Bild then posted a second article a day later that did cover the tweet, Sundar's response, and so forth. Of course, Bild wasn't the only publisher who did this. This happened a lot. Here, for instance, is a local radio station in Canada. This is exactly the same. They took my adjusted screenshot, but then wrote their own post about it pretending to be the ones who discovered this. Or what about this example from Cosmopolitan. They did recognize that this was happening on Twitter, but they very specifically removed all mentions of the original source. First: Stop doing this! It erodes credibility and doesn't gain much in return. Secondly: From a media perspective, one of the big problems publishers face today is that everyone is doing the same thing, and because of that nobody is able to stand out. Because this isn't just happening when people see something popular on Twitter. This is happening every single day, in every single newspaper. A journalist will see some news covered by someone else, and then paraphrase it into an article of their own, pretending that they didn't see it somewhere else to begin with. Of course, 'paraphrasing' is the word people in the media use when they want to pretend that they weren't just plagiarizing someone else. But if you do this, how are you supposed to stand out? Why would people subscribe to you? So, we need to stop this incredibly damaging culture that exists in almost every newsroom around the world. Anyway, this burger story was not the most important story in the world, although for a few days and on some media outlets it felt like it might be! It was fun and it was incredible to see the excitement and positivity that it created on Twitter. From a purely professional perspective, it gave us a very interesting first-hand, behind-the-scenes perspective of a viral event. It also clearly illustrated how the media often don't feel like they are part of the world that they are reporting. Some media coverage was amazing, but there were also many basic things that could be improved. And not just when covering a tweet about a burger emoji, but for how the media works in general. As media professionals we have to change this and truly be part of the communities we cover. Whether that's our geographically local community, or understanding memes before writing about them, there's a degree of rigor missing. And if it's missing in lightweight stories about burger emoji, what else is missing from the stories that truly impact society?